If you are investing your time and money into sports arbitrage then the last thing you want to happen is to be limited by soft bookmakers in the first week of trading. Bookmakers are entirely within their legal rights to not accept bets from any player and if for any reason they believe you to be a risk to their profits they will reduce your betting limits to small amounts. You cannot avoid the limits indefinitely, but you can delay limitation by soft bookmakers thus extending your Australian arbitrage experience to at least a few months. In order to delay limitation as long as possible, you need to be controlled, patient and smart with your deposit, betting and withdrawal patterns. How do bookmakers identify arbers? Only those within the bookmaker security teams will know the exact techniques, but the general principle of identifying arbers (and professional punters) is the same across most bookmakers – the odds you bet on give away the nature of your trading. When bookmakers first set their odds they believe them to be the most accurate representation of the probability that the outcome will occur. In retrospect, the odds given to punters can be compared to the general consensus and also the actual outcome of event to identify those odds that were not representative of the market – i.e. the odds that were set too high. Then, each punter that made bets on over-valued odds will be flagged as a possible arber (or professional punter), and as a player accumulates red flags their maximum betting limits will be gradually reduced. Reducing the betting limits takes away much of the risk associated with that player. Initial setup deposit: deposit enough to obtain the maximum available sign-up bonus and no more. Pocket the bonus, arb through your deposit and your bonus bet(s). 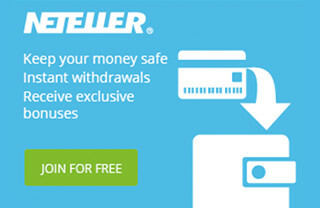 Square punters do not withdraw funds immediately after winning a bet – arbers do. 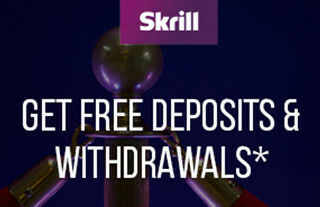 Making immediate withdrawals is a big red flag for soft bookmakers, so make sure you don’t do it. 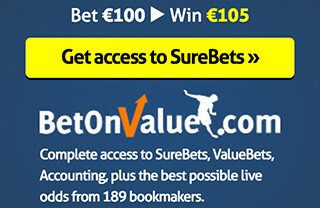 As much as possible you want to appear as a square punter in the eyes of soft bookmakers. These markets are extremely illiquid for bookmakers and they dislike punters betting on them. To avoid the possibility of running an unbalanced book, all soft bookmakers will quickly limit players who regularly bet on exotic lines. 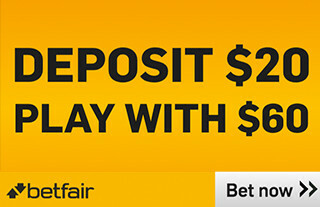 A square punter will never bet of $347 on a match. EVER. If you do then you will be automatically identified as an arber of professional punter and immediately limited by soft bookmakers. Your arb-finding alert service will suggest bets that are calculated to the cent, but you should be betting the rounded equivalent of those bets. Bet in multiples of $5 or $10 at soft bookmakers – if your alert service advises to bet $347 at a soft bookmaker then you should be betting $345 or $350. If you are concerned about not having an exactly balanced profit then you can adjust the sharp bookmaker bet so that your profit is the same no matter the outcome of the event. Remember, sharp bookmakers like Pinnacle Sports will never limit you so feel free to bet $347 with them. Square punters don’t bet two sides on the same match – it doesn’t make sense for them to do so. If you make this mistake then you will be limited by soft bookmakers very quickly because this sort of behaviour is characteristic of arbers. If you are executing a three-sided arb then make sure that you only place one leg with the soft bookmaker. All other legs must be with sharp bookmakers. For example, if you are alerted to a 1X2 soccer arb then it is perfectly fine to bet the home team with one soft bookmaker, then the draw and away bets with a sharp bookmaker like Pinnacle Sports. However, if the home bet and draw bet are with the same soft bookmaker then leave this arb alone and walk away. First and foremost, arbs over 5% are more likely than not to be a palpable error – read our lesson on palpable errors for more information. However, putting that aside, arbers that bet on high-value odds are just asking to be discovered. Sometimes soft bookmakers will intentionally place the wrong odds on a sporting event as a trap for inexperienced arbers to fall into. 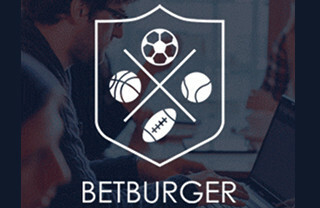 The bookmaker will purposely move odds in order to create a lucrative 5%+ arb on one of their exotic lines where betting limits are small anyway, and any player who places bets on that line within 30 minutes (enough time for alert services to discover and alert their subscribers) is automatically flagged as a potential arber. It is therefore better to walk away from arbs greater than 5% then risk falling into a bookmaker’s trap. The above guidelines do not apply to betting exchanges (such as Betfair, BETDAQ, Smarkets etc.) or sharp bookmakers (such as Pinnacle Sports, Matchbook) because you will never get limited there. Betting exchanges make money by matching bets – the more bets matched the greater their profit. It is not in their interest to limit arbers or professional punters. 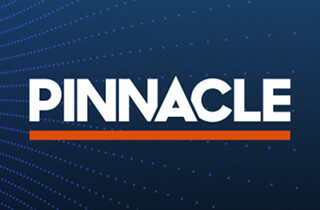 Sharp bookmakers like Pinnacle Sports encourage arbers and professional punters to use their service because these types of punters specifically target over-valued odds, and by betting on such over-valued odds consequently bring those odds into line with the market. A strategy that Sports Arbitrage Australia implemented last year and to date has proven successful in delaying soft bookmaker limitation is described below. To date, all soft bookmaker accounts that were pre-emptively earmarked for this strategy have not been limited. For example, the betting limits of one member’s account have not been reduced in 10 months. The strategy is called “one sport; one league”. That is, restricting all bets placed with any one bookmaker to a single sport and a single league within that sport. The member’s account that not been limited in 10 months ONLY bets on Major League Baseball. we expect that at some stage the soft bookmakers will catch on and limit the accounts, it just hasn’t happened yet so we don’t know what timeframe that is. Although there isn’t enough data available to comprehensively recommend this strategy, we expect that it will result in greater profits in total from your arbitrage experience. It certainly will increase the length of your arbitrage experience (from a few months to more than one year), however you will be making less profit per month during your experience. If you feel you would like to implement the strategy of “one sport; one league” per bookmaker then please let Sports Arbitrage Australia know how successful it is for you.